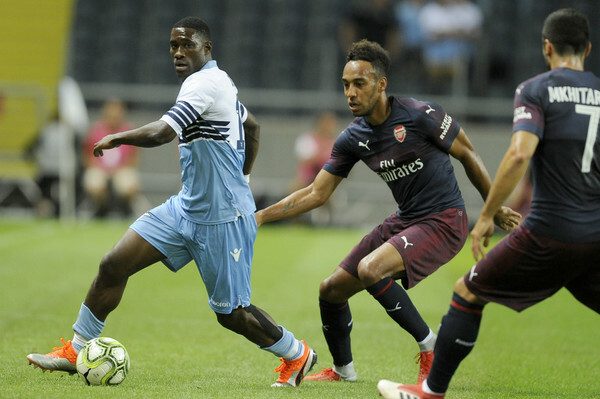 Arsenal end their pre-season preparation with a 2-0 victory over Italian side Lazio in a friendly in Stockholm. Reiss Nelson scored in the first half with a rebound after Alex Iwobi's low shot came off the post. Aubameyang came on as a second half substitute and he scored with a clean finish. Arsenal will play defending champions Manchester City in the opening weekend of the new Premier League season. New signing Lucas Torreira made his debut while former Juventus defender Stephan Lichtsteiner came off the bench to also feature for the first time for the Gunners.